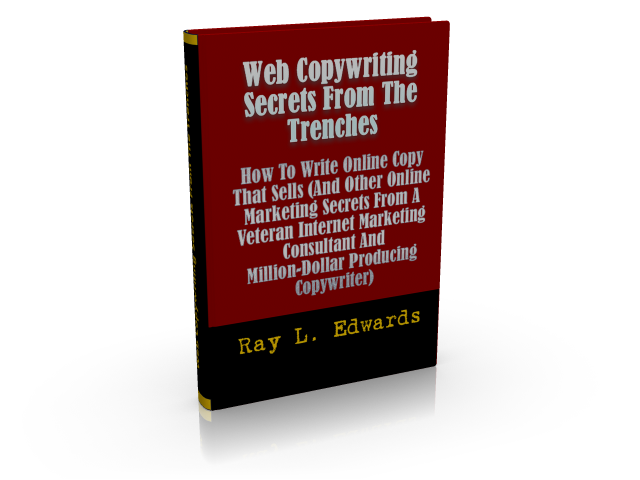 Ray L. Edwards is a master copywriter, Internet marketing consultant and published author. He has made his clients millions of dollars over the past years and specializes in writing copy for websites and online marketers. He has written several books on the subject of marketing, many marketed under the names of other marketers (ghost written) who have profited handsomely from his writing skills. Ray is available to a limited number of marketers each year who want to expand their businesses or are starting a new business and want to do so with an experienced copywriter. You can see samples of his work here.